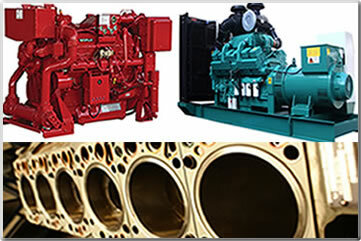 We specialize in performing preventative maintenance, Annual diesel services, semiannual inspection, engine overhauls, repacking of pumps, perform annual diesel service on fire pumps diagnostic and service on all make and models of diesel, natural gas, LP vapor liquid (Spark ignited) fire pump engines. List includes Clarke Fire Pump, Duetz fire pumps, Cummins fire pumps, Caterpillar fire pumps, Detroit fire pumps and more. What is Preventative Maintenance? It's the anticipation and correction of possible equipment failures before they occur. When you wait for equipment to break before working on it, your practicing corrective maintenance. Preventative Maintenance is a proactive measure that provides the most reliable and continuous performance from your equipment and is a much more cost effective means of maintenance. Copyright 2016 © Industrial Maintenance Service. All rights reserved.